Along with the milk jug and the egg carton, the toothpaste tube is one of those few ubiquitous packaging silhouettes that anyone can easily recognize. But the norm for toothpaste packaging is slowly changing. 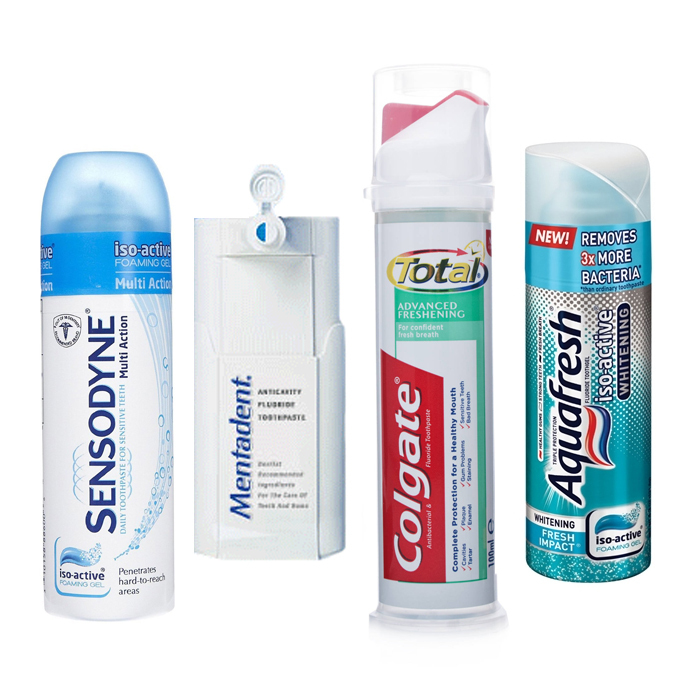 While you can still find the classic toothpaste tube packaging on-shelf, many new packaging solutions are joining it. Oral care brands are finally realizing that toothpaste is a difficult product to store. 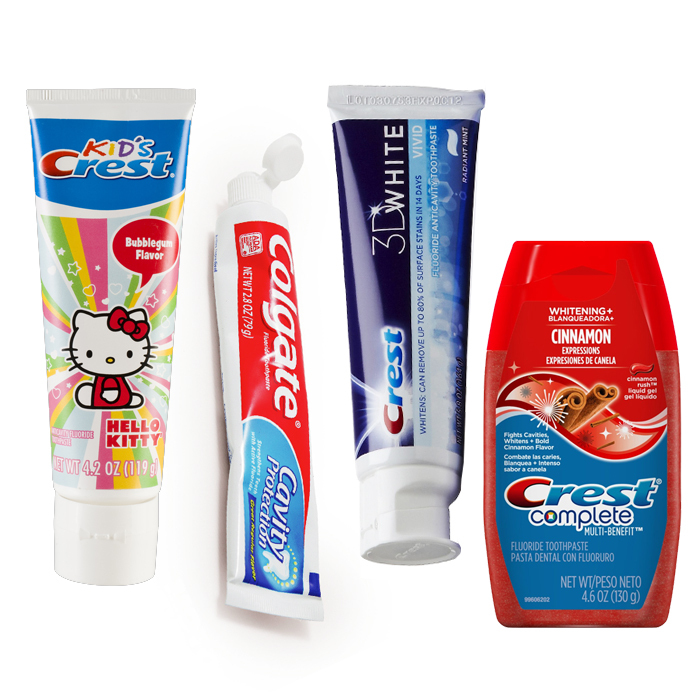 With the classic shape of toothpaste packaging giving consumers no choice but to lay the tube flat (taking up more than it’s fair share of medicine cabinet real estate) or keep it in a secondary organizer, like a cup, newer packaging for toothpaste lets consumers store it vertically. Some brands store the standing tube with the dispenser facing down, other brands have chosen to keep the cap on top and flatten out the bottom. Perhaps one of the biggest problems with toothpaste packaging is the tiny cap that often gets lost, dropped on the floor, or altogether left behind. 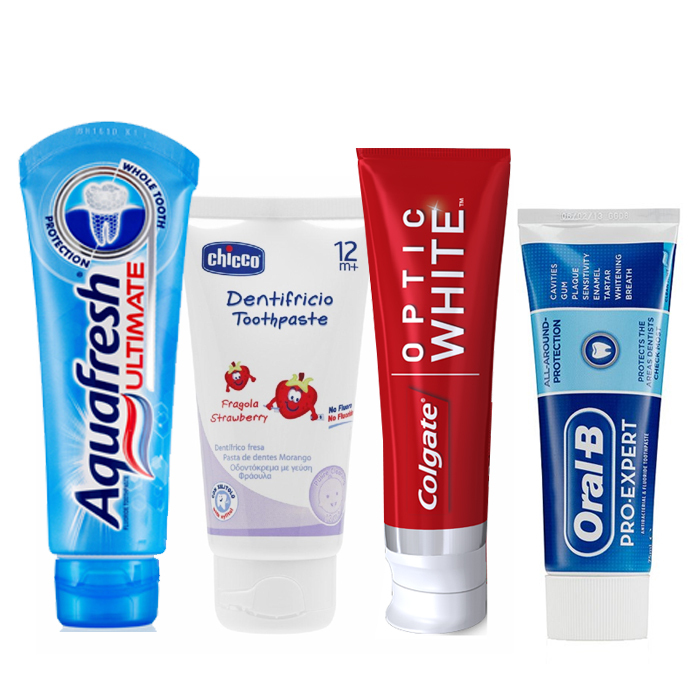 To help maintain product freshness and prevent that dreaded crusty toothpaste, many new packaging solutions provide a hinge to keep the cap attached the the tube at all times. Caps have also gotten larger and grown flip-top edges for easy handling and gripping. Many caps now also provide consumers with an audible click so the consumer knows when the cap is closed. Not only are stand-up tubes available for easy storage, but some packaging has abandoned the tube completely. There is an assortment of packaging for toothpaste that makes a play for less mess and easy dispensing that requires no squeezing at all. Pumps and shaving-cream-style dispensers are available in a variety of styles – with nozzles, removable caps or push-buttons. In the past, family members could debate over squeezing the toothpaste from the bottom, middle or top. That’s not always the case anymore. 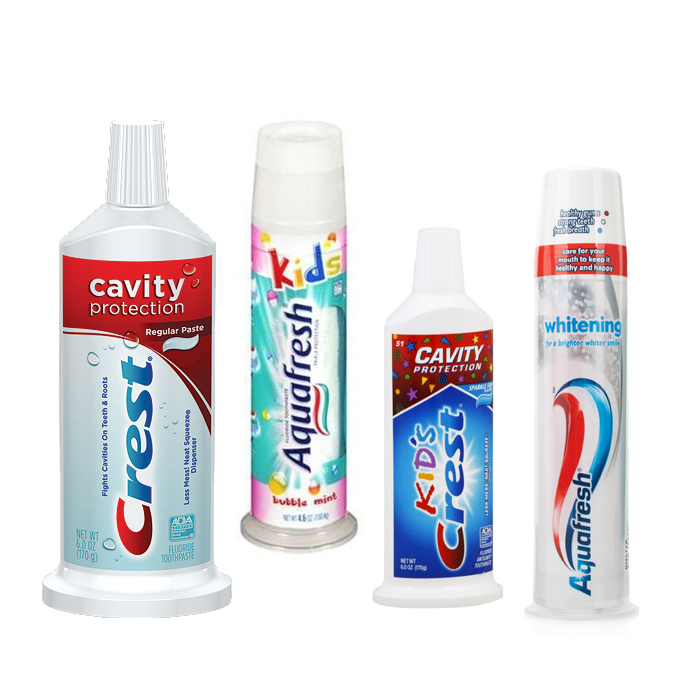 While the tube certainly remains a mainstay in the oral hygiene aisle, many leading brands are now offering toothpaste in bottles with flip-top lids. Including one newcomer to the world of toothpaste – earlier this spring Hello Products launched their natural and “100% nice” oral care line, which boasts new toothpaste packaging innovation designed in conjunction with BMW Group DesignworksUSA. It’s clear that the classic elongated tube and tiny screw-on cap, while a familiar sight to most consumers, has come a long way. 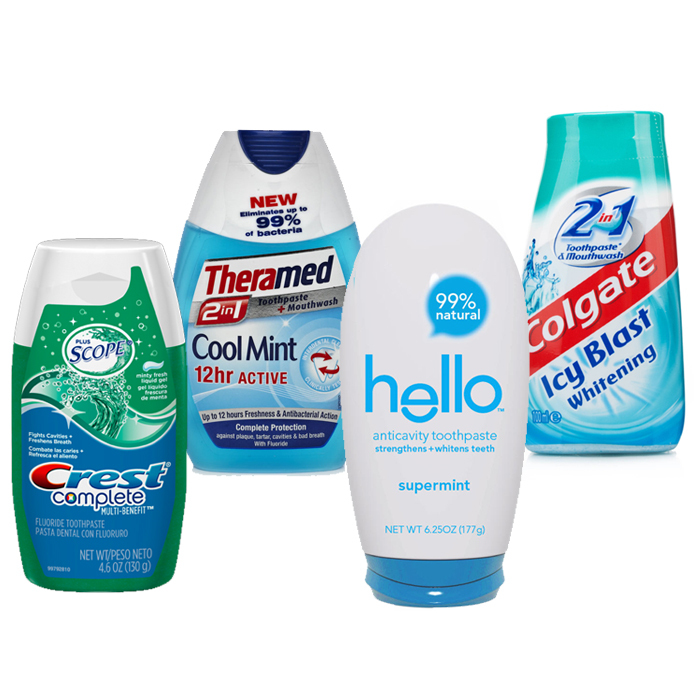 With so many many packaging changes occurs over the last several years, we look forward to seeing what is in-store for toothpaste packaging in the future. I hate the flip tops!!! They are messy and not easy to clean out. I wish the boxes would specify what kind of top they have. I want the old fashioned screw on top! Which ones have that??? I agree. I hate the flip tops, especially the large diameter ones. If they insist on using a flip top, at least make it the smaller size, the ones that are about the same size as the screw on type from many years ago. They are quicker to remove than the large diameter caps. I am a pilot and like to take a larger tube with me on long trips, but the flip top come open due to the airplane pressurization and causes leaks. I have a refiller from The Container Store but it only works with the screw top caps. I wish that Crest Pro-Health came in the old fashion Screw Top. The new way is not the best way! I much prefer the screw top. I like to keep a small tube in my purse, to brush my teeth at work, and the flip top comes open, squirting toothpaste over my stuff.